People are living longer and embracing new activities well into their older years. Living longer begs the question, what can be done to age well? There’s more to it than staying physically active, regular check-ups, and eating the right food. More and more seniors are finding a new hobby or pursuing arts and crafts to enhance their quality of life. Creative activities, such as writing, painting, sculpting or knitting, encourage a sense of purpose and competence—all of which contribute to aging well. Here are a few ways that being creative—even if you’re not artistically inclined—can have a positive impact on your life. Did you know the average person has 60,000 thoughts per day, and 95% are the same thoughts being repeated day in and day out? ( 1 ) Creative activities can distract your brain from the usual and habitual thoughts reducing stress levels and anxiety. Hand-eye coordination decreases with age. Holding knitting needles, a pencil or paintbrush can help stimulate the brain and improve hand-eye coordination. Being involved in creative activities can help us connect with others, reducing the feelings of isolation, loneliness and depression. Working on projects together can grow friendships and provide a social network. 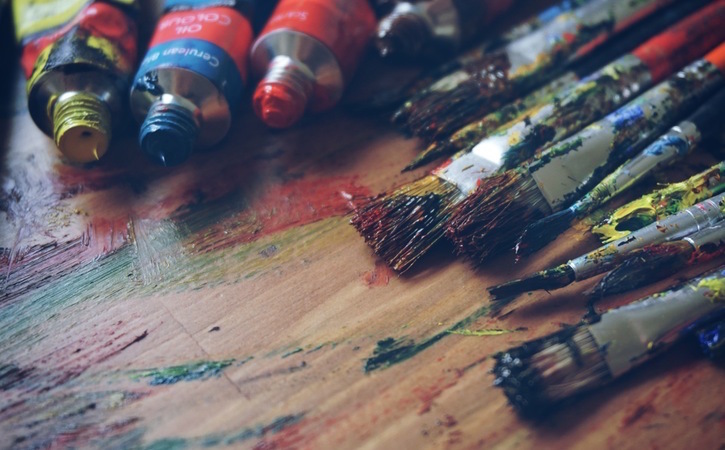 For those that have difficulty expressing themselves verbally due to a condition or stroke, art can be a great way to communicate through visual means. Doing an art project requires coordination. Through small and purposeful movements, fine motor skills can improve. Being creative is a great way to increase motivation and combat boredom. The hardest part is choosing what to do—the possibilities are endless. There are so many arts and craft projects to choose from. Here are a few ideas to get you started. It’s never too late to create! Be creative—write, draw, build, color, paint, knit or attend an art class. So, it’s up to you! Whatever you choose to do, it will positively impact your health and your happiness.